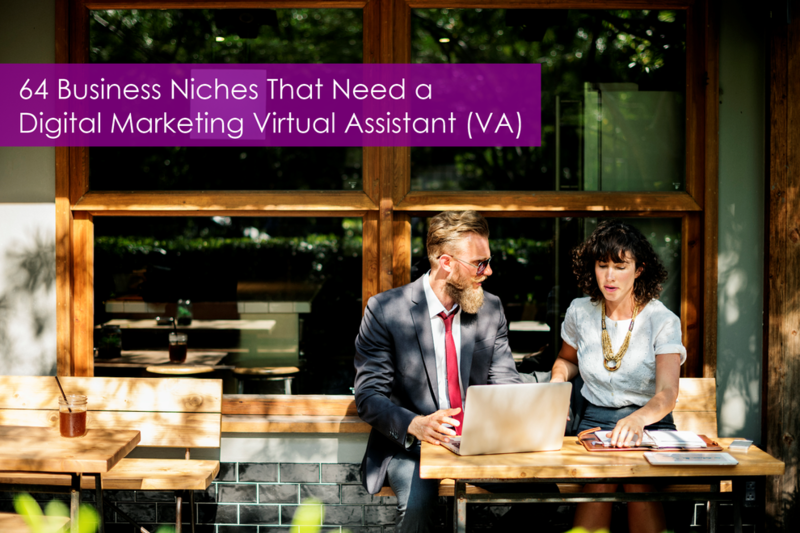 Businesses often wonder if their type of business is the right fit for a digital marketing VA. In addition to the businesses we've worked with here at Digital Marketing VA, I polled my Digital Marketing Pro group to see what types of businesses they have worked with as well. Here's what we came up with. While these may be the top categories of businesses that came up in our conversations, ANY service-oriented business is at the top of the list. To be honest, we can't think of any businesses that don't need digital marketing. Ready to book a call with us? Sign up on our easy online appointment calendar or drop us a note in our contact form. We'd love to hear from you! So without much ado, here is the FREE DOWNLOAD. If you like this publication, please share it on your social networks. And let me know if I missed a business niche that you think should be on the list!